The JBR1000M Bb Marching Baritone horn has a powerful, well-centered pitch and resonance combined with an excellent balanced action. The versatile trumpet style JBR1000M provides the same dark, rich baritone voice to marching bands as do shoulder models but with more mobility. 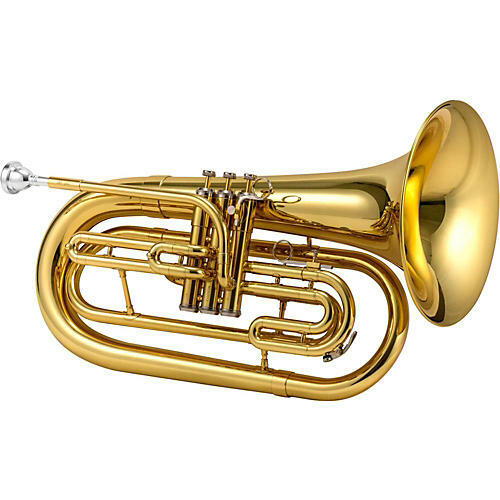 The item features key of Bb, .500" bore, 10" yellow brass bell, adjustable third slide with finger ring plus third valve balance ring, and deluxe form-fit molded hardshell case.